Hi everyone! My wedding anniversary was last month and I'm just getting around to sharing the card I made for my husband. We celebrated our 18th anniversary on September 11. I am looking forward to many, many more anniversaries with this wonderful man ♥. 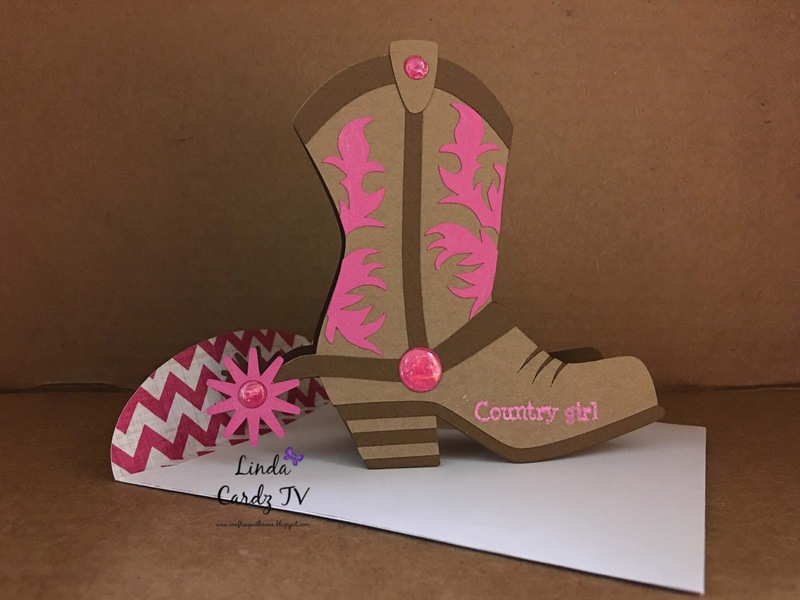 The card is an SVG file from Lori Whitlock that I cut out using my Cricut Explore and all of the sentiments are from Cardz TV Stamps. I will be entering this into Cardz TV Anything Goes Challenge #18. Thanks for stopping by my blog! Stamp: Cardz TV School Days "School is Cool!" Thanks for stopping by my blog today!! Please feel free to leave a comment, I love reading them. Hi Everyone! Today I'm sharing the birthday card I made for my Great-Niece who turned one on August 4th. I used a modified version of Mary's Card Kaboodle Sketch # 19. I used stamp sets from Cardz TV (Inside and Back) and My Creative Time and Stampin' Up (Front). All paper is from American Craft "My Baby" and the balloons are from a Martha Stewart Punch. I hope you like it. Hello everyone! 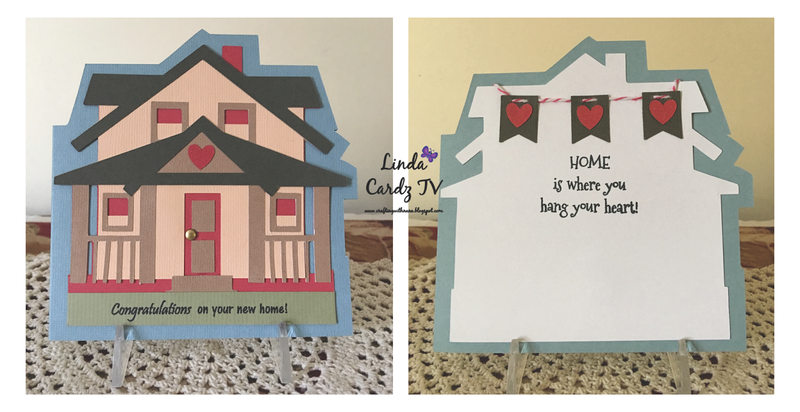 Time for Cardz TV Mailbox Smiles Anything Goes Challenge #7. For the Anything Goes challenges you can create anything you'd like: 3-D, 3-D Cards, Gift Bags, Candy Bag Toppers, Home Décor, Scrapbook Pages, Mini Albums, etc. 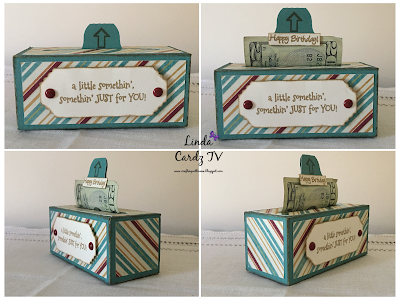 For my project, I made for my son's birthday a little money roll gift box from the Lori Whitlock SVG shop. Super easy gift box to put together and looks really fun when the money pulls out. I washi taped five twenty dollar bills together so it would come out extra long. 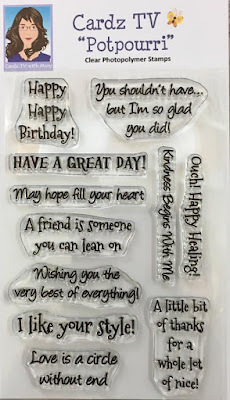 For my sentiments I used Cardz TV stamp sets "Mini Messages", "Mixed Messages", and "Planner Basics". This was really a fun and easy project to put together. Be sure to stop by Cardz TV and see all the wonderful design team projects and to enter your project for a chance to win one of Mary's Cardz TV stamp sets. You have until noon EST, Thursday, July 27 to enter. The winner will be chosen by random.org. Many of you have asked, and no, you don't have to use Cardz TV Stamps to enter! We do ask that your entries be new projects...no backlinks please, and you may enter up to 3 times. I look forward to seeing all of your creations! Please feel free to leave me a comment, I love reading them! Hello everyone! 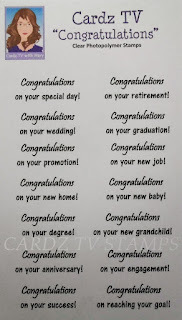 Time for Cardz TV Mailbox Smiles Anything Goes Challenge #6. 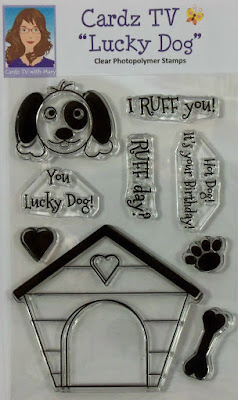 For the Anything Goes challenges you can create anything you'd like: 3-D, 3-D Cards, Gift Bags, Candy Bag Toppers, Home Décor, Scrapbook Pages, Mini Albums, etc. For my project, I decided to do a Christmas in July themed post. 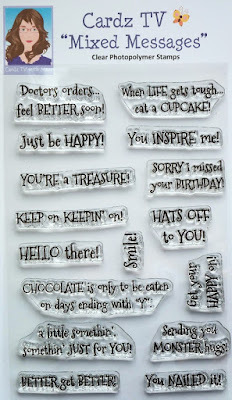 I found these little gift card/money holders in the Lori Whitlock's SVG shop. 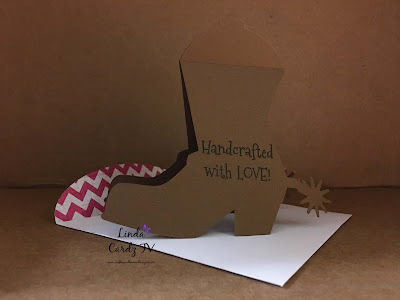 They are so cute and since the scene inside the box is a print and cut it was very easy to make on my Cricut Explore. 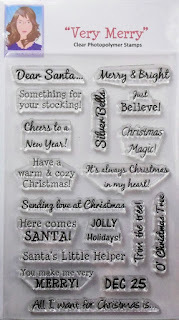 I added sentiments from the Cardz TV stamp sets "Home For Christmas" and "Very Merry". 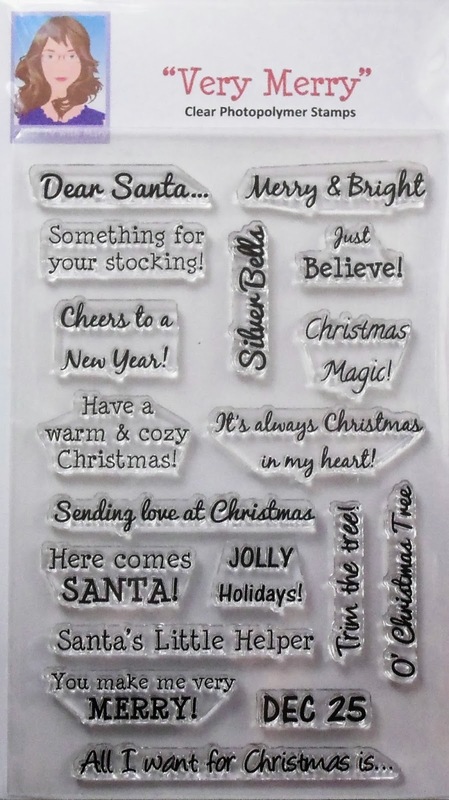 The acetate sheets on the front were embossed with the Cuddlebug embossing folder "Snowflakes". Hello everyone! 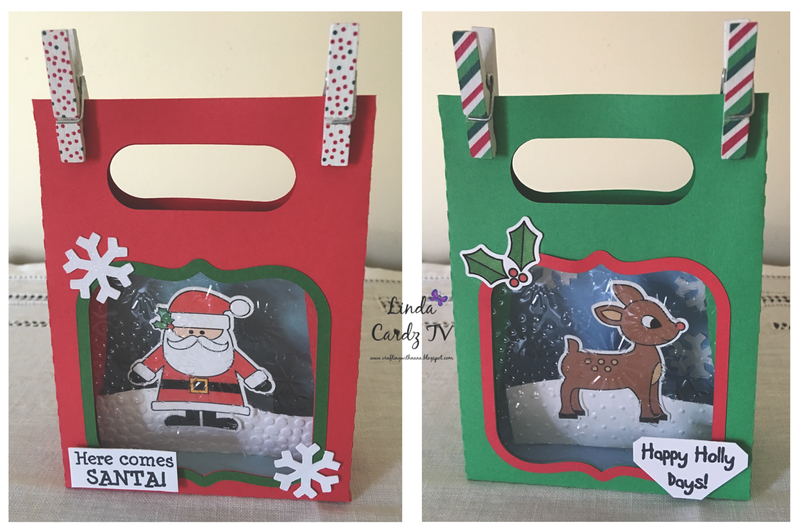 Time for Cardz TV Mailbox Smiles Anything Goes Challenge #5. 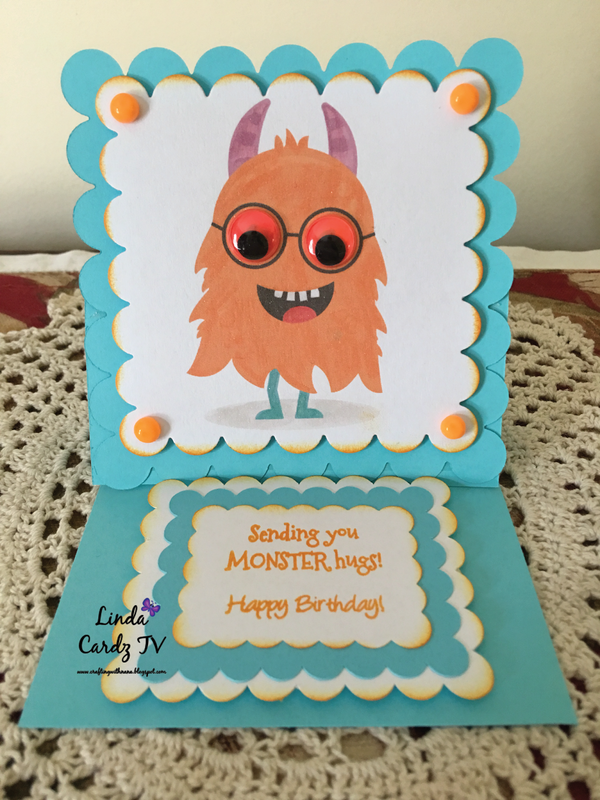 For the Anything Goes challenges you can create anything you'd like: 3-D, 3-D Cards, Gift Bags, Candy Bag Toppers, Home Décor, Scrapbook Pages, Mini Albums, etc. For my project, birthday easel card for my little nephew. I used a jpg file from the Monster Mania Bundle at Miss Kate Cuttables. I like this set, I've used several of the images from this bundle. It goes perfectly with the sentiment "Sending you MONSTER hugs" from the Cardz TV stamp set "Mixed Messages". 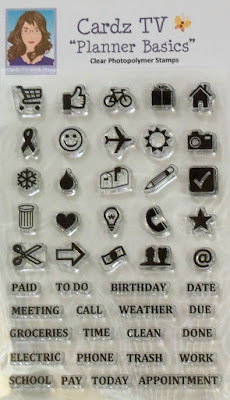 I also used one of the newer stamp sets "Mini Messages". It's full of many tiny sentiments for all occasions. 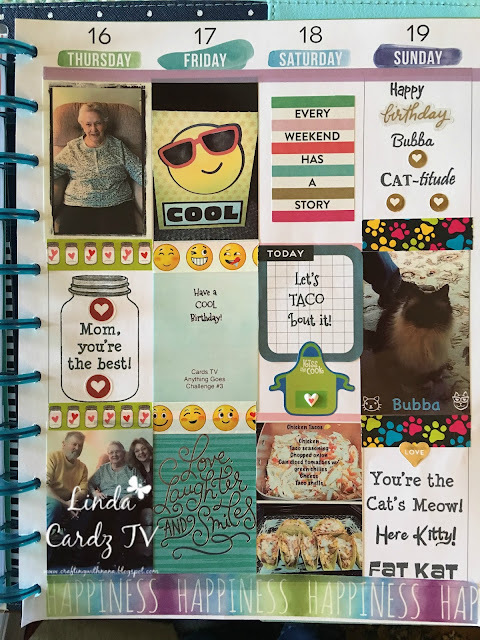 Be sure to stop by Cardz TV and see all the wonderful design team projects and to enter your project for a chance to win one of Mary's Cardz TV stamp sets. You have until noon EST, Thursday, July 13 to enter. The winner will be chosen by random.org. Many of you have asked, and no, you don't have to use Cardz TV Stamps to enter! We do ask that your entries be new projects...no backlinks please, and you may enter up to 3 times. I look forward to seeing all of your creations! Hello everyone! Time for Cardz TV Mailbox Smiles Anything Goes Challenge #4. 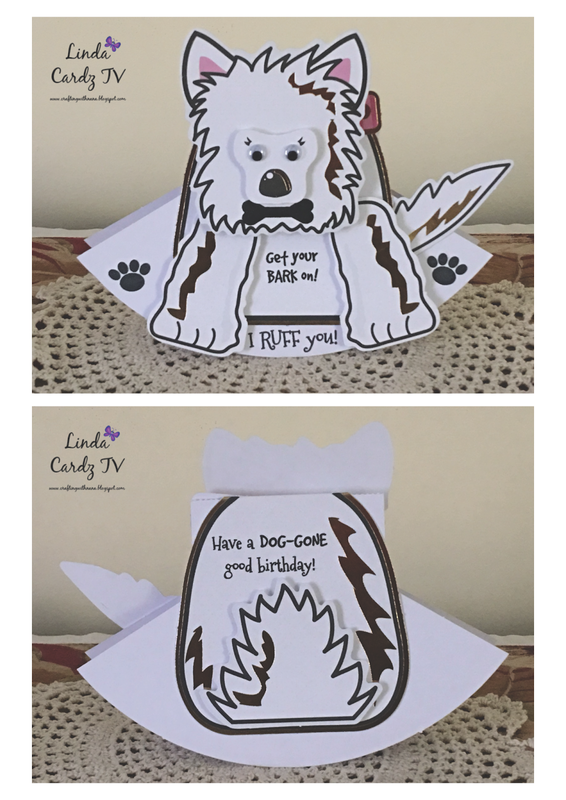 For the Anything Goes challenges you can create anything you'd like: 3-D, 3-D Cards, Gift Bags, Candy Bag Toppers, Home Décor, Scrapbook Pages, Mini Albums, etc. 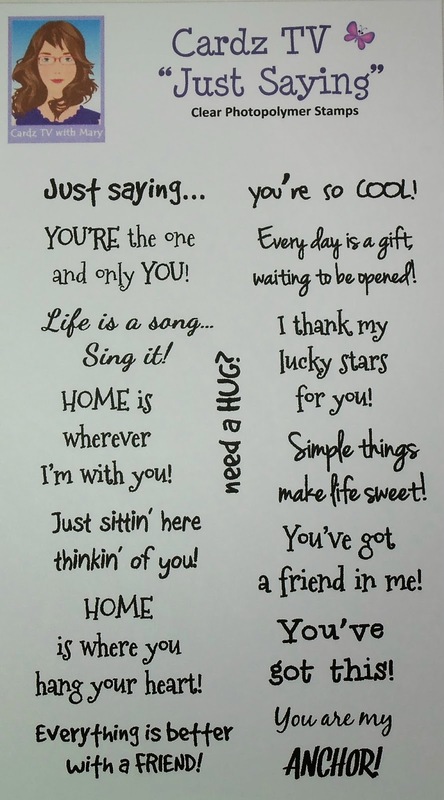 For my project, I made a congratulations on your new home card. The house cut is from the Cricut cartridge "Just Because Cards". I welded the house image to create the base of the card. I really like how it turned out. 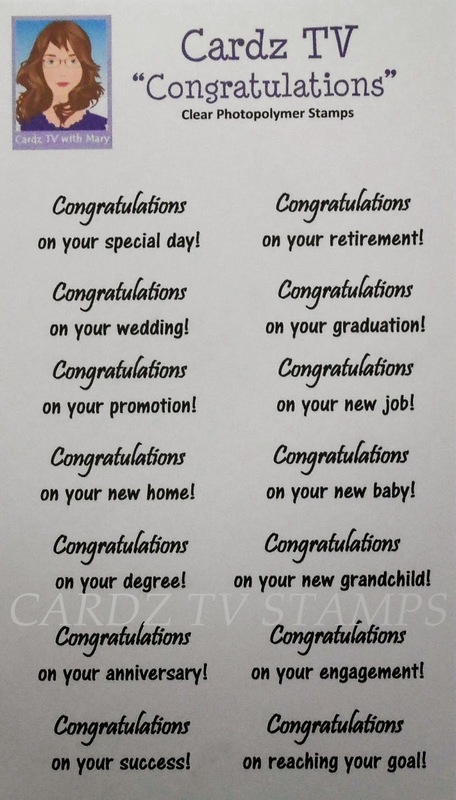 The sentiments are from Cardz TV stamp sets "Congratulations" and "Just Saying" . 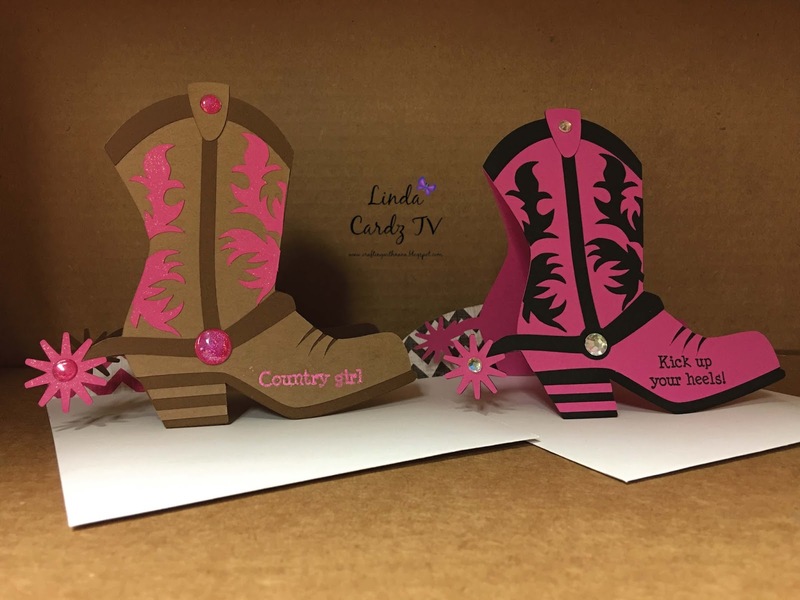 Be sure to stop by Cardz TV and see all the wonderful design team projects and to enter your project for a chance to win one of Mary's Cardz TV stamp sets. You have until noon EST, Thursday, June 29 to enter. The winner will be chosen by random.org. Many of you have asked, and no, you don't have to use Cardz TV Stamps to enter! We do ask that your entries be new projects...no backlinks please, and you may enter up to 3 times. I look forward to seeing all of your creations! Hello everyone! 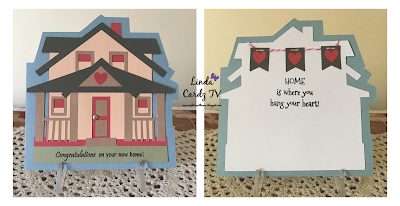 Time for Cardz TV Mailbox Smiles Anything Goes Challenge #3. 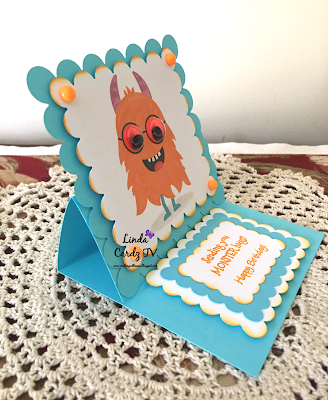 For the Anything Goes challenges you can create anything you'd like: 3-D, 3-D Cards, Gift Bags, Candy Bag Toppers, Home Décor, Scrapbook Pages, Mini Albums, etc. For my project, I made a thinking of you card for someone going through a difficult time right now. 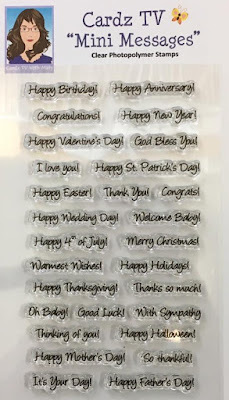 The card is a shaker card put together using the We R Memory Keepers Fuse Tool. 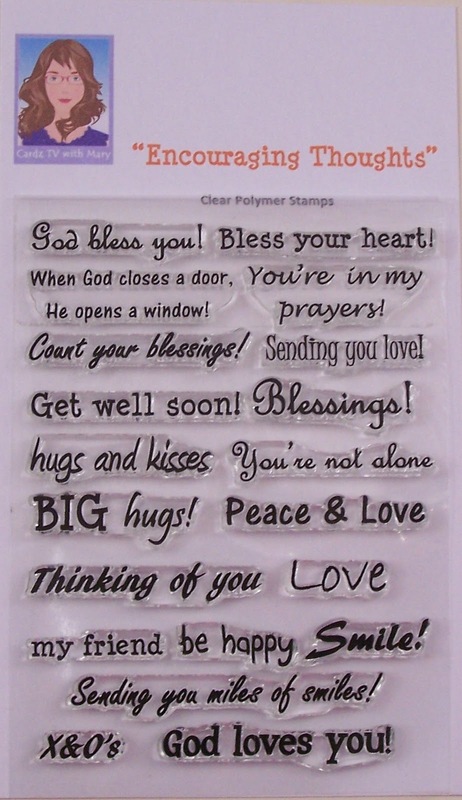 The inside sentiment is from Cardz TV stamp set "Encouraging Thoughts". Be sure to stop by Cardz TV and see all the wonderful design team projects and to enter your project for a chance to win one of Mary's Cardz TV stamp sets. You have until noon EST, Thursday, June 15 enter. The winner will be chosen by random.org. Many of you have asked, and no, you don't have to use Cardz TV Stamps to enter! We do ask that your entries be new projects...no backlinks please, and you may enter up to 3 times. I look forward to seeing all of your creations! Hello everyone! 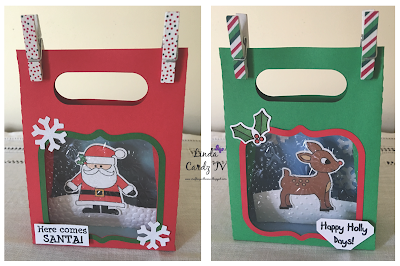 Time for Cardz TV Mailbox Smiles Anything Goes Challenge #2. 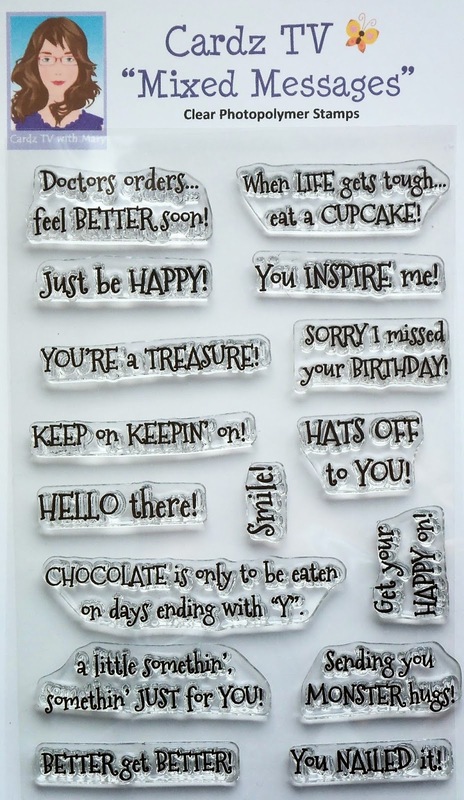 For the Anything Goes challenges you can create anything you'd like: 3-D, 3-D Cards, Gift Bags, Candy Bag Toppers, Home Décor, Scrapbook Pages, Mini Albums, etc. 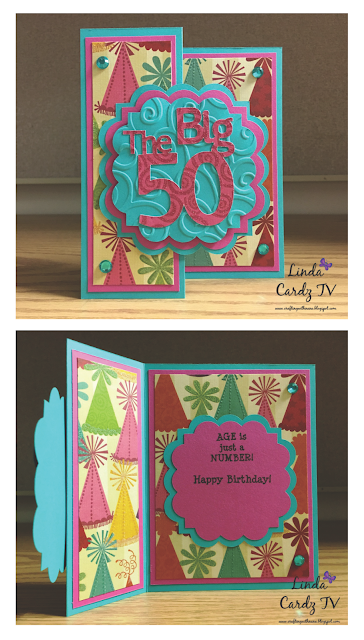 For my project, I made a birthday card for a co-worker who celebrated her 50th birthday. I designed "The Big 50" in Cricut Design Space and popped it up on a cut from the Elegant Edges cartridge that was embossed using the Cuttlebug Devine Swirls embossing folder. The sentiments are from Cardz TV stamp sets: Good Times. I love how colorful it turned out. Be sure to stop by Cardz TV and see all the wonderful design team projects and to enter your project for a chance to win one of Mary's Cardz TV stamp sets. You have until noon EST, Thursday, May 18 enter. The winner will be chosen by random.org. Many of you have asked, and no, you don't have to use Cardz TV Stamps to enter! We do ask that your entries be new projects...no backlinks please, and you may enter up to 3 times. I look forward to seeing all of your creations! Hi Everyone! I just wanted to share the Mother's Day card I made for my mother-in-law this year. 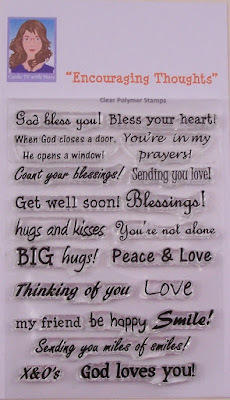 I used the new Cardz TV Stamp set "Mini Messages". This stamp set has so many sentiments. It's one of my favorite. I created this using the Tulip Card from Cricut's Creative Holiday Cards cartridge. Thanks for stopping by my blog today! Please feel free to leave a comment, I love reading them. Hello everyone! Time for Cardz TV Mailbox Smiles Anything Goes Challenge #1. For the Anything Goes challenges you can create anything you'd like: 3-D, 3-D Cards, Gift Bags, Candy Bag Toppers, Home Décor, Scrapbook Pages, Mini Albums, etc. 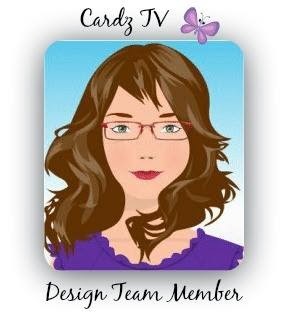 The Cardz TV Designers are now on two different teams: Mailbox Smiles and Cardz Crazy Crafters. I am fortunate enough to be part of the "Mailbox Smiles" design team and I'm very happy to be back for another term. For my project, I made my little grandson a rocker puppy birthday card. He turned 2 a couple weeks ago. It looks so cute when it rocks. 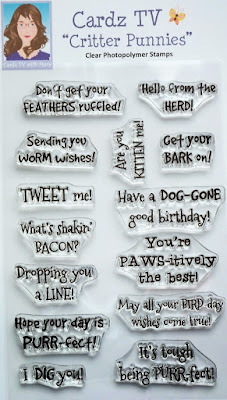 The sentiments are from Cardz TV stamp sets: Critter Punnies and Lucky Dog. Hello everyone! Time for Cardz TV Anything Goes Challenge #6. For the Anything Goes challenges you can create anything you'd like: 3-D, 3-D Cards, Gift Bags, Candy Bag Toppers, Home Décor, Scrapbook Pages, Mini Albums, etc. For my project, I made a cute friendship card. Using the print then cut feature in Cricut Design Space, I cut out image #MAA2A4 BFF Hug from the Better Together cartridge. 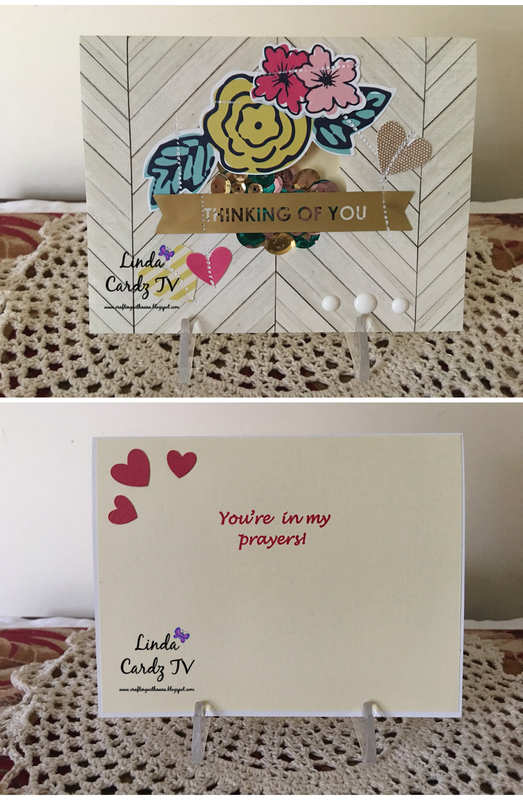 I think this image is so cute and goes perfect with the sentiment "A friend is someone you can lean on" from the Cardz TV new stamp set "Potpourri". I had a lot of fun making this card. 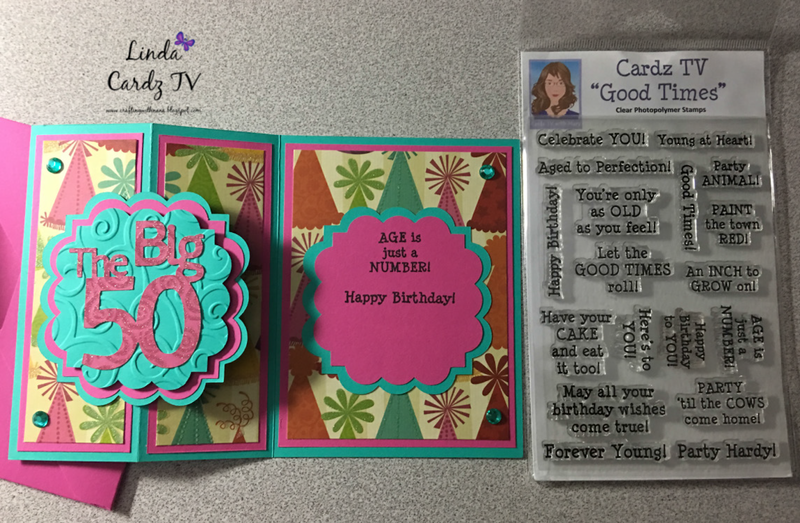 Be sure to stop by Cardz TV and see all the wonderful design team projects and to enter your project for a chance to win one of Mary's Cardz TV stamp sets. You have until noon EST, Thursday, April 13th to enter. The winner will be chosen by random.org. Many of you have asked, and no, you don't have to use Cardz TV Stamps to enter! We do ask that your entries be new projects...no backlinks please, and you may enter up to 3 times. I look forward to seeing all of your creations! Hello everyone! Time for Cardz TV Anything Goes Challenge #5. 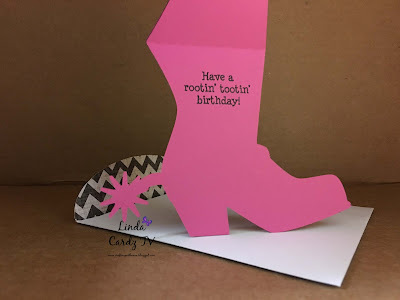 For the Anything Goes challenges you can create anything you'd like: 3-D, 3-D Cards, Gift Bags, Candy Bag Toppers, Home Décor, Scrapbook Pages, Mini Albums, etc. I love the Happy Planners from Me & My Big Ideas. I have the Mini, the Classic, and the BIG planner. I guess you could say I have a slight obsession with the Happy Planners. I use my BIG Happy Planner as a memory book. The weekly layouts boxes are 2x3 and that's the perfect size for printing pictures out from the HP Sprocket, Polaroid Zip mini printers or printing a colleague of 4 pictures onto 4x6 photo paper. For my project, I'm sharing one of the pages from my BIG Happy Planner. 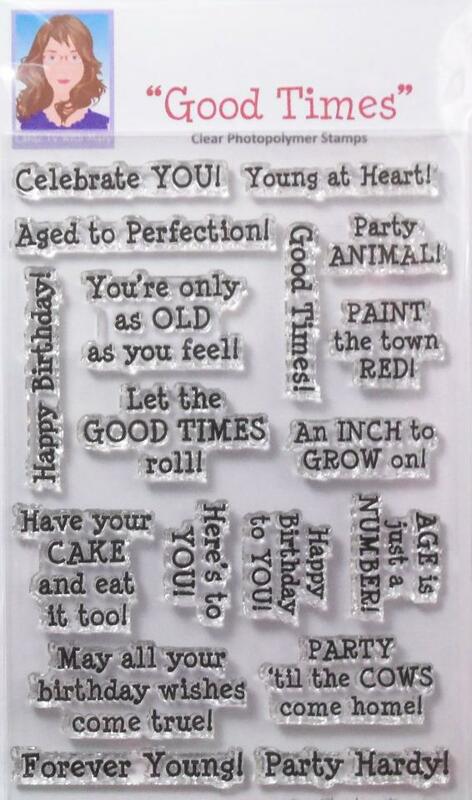 The Cardz TV stamp sets I used are from "Here Kitty", "Food Punnies", Mother's Day", "Home Grown", "All in the Family" and "Just Chillin". You can purchase Cardz TV stamps here. I hope you like my memory page! 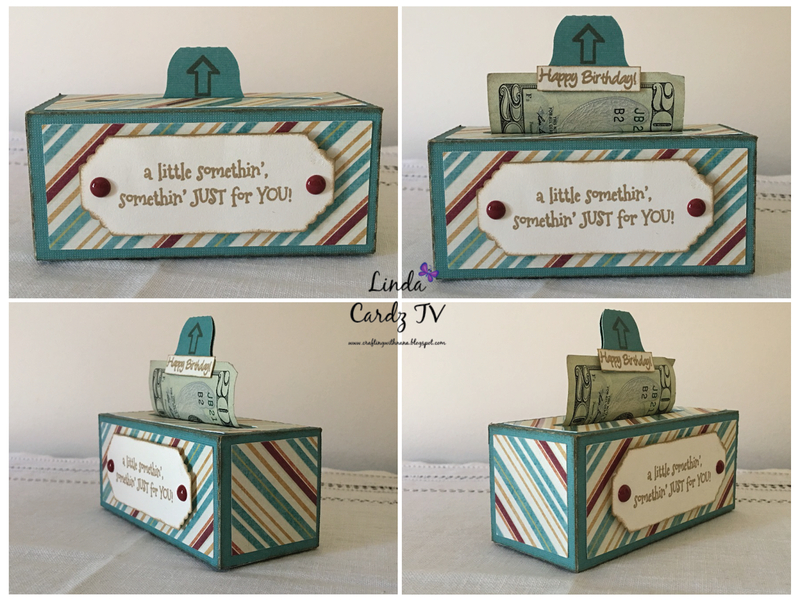 Be sure to stop by Cardz TV and see all the wonderful design team projects and to enter your project for a chance to win one of Mary's Cardz TV stamp sets. You have until noon EST, Thursday, March 30th to enter. The winner will be chosen by random.org. Many of you have asked, and no, you don't have to use Cardz TV Stamps to enter! We do ask that your entries be new projects...no backlinks please, and you may enter up to 3 times. I look forward to seeing all of your creations! Hello everyone! Time for Cardz TV Anything Goes Challenge #4. 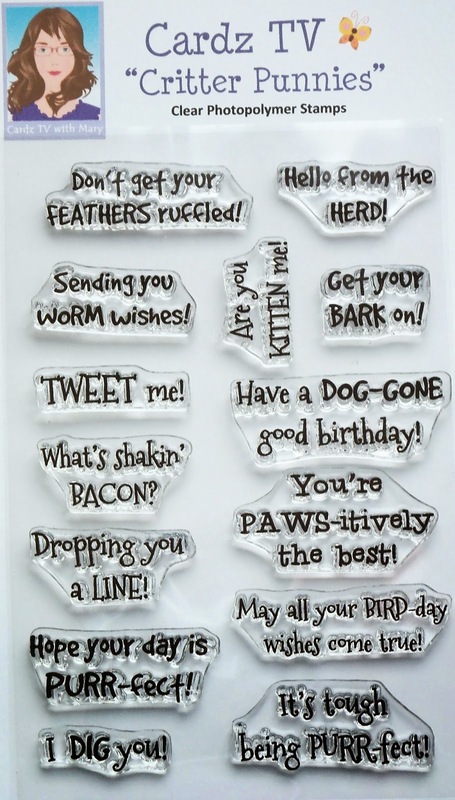 For the Anything Goes challenges you can create anything you'd like: 3-D, 3-D Cards, Gift Bags, Candy Bag Toppers, Home Décor, Scrapbook Pages, Mini Albums, etc. 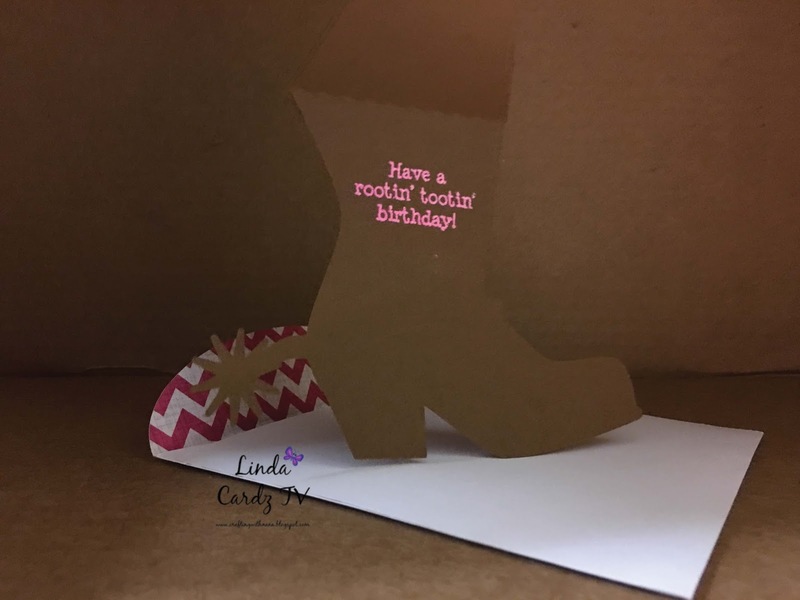 For my project, I made these two cowboy boot cards from Pretty Paper Pretty Ribbons. I love how they turned out and the sayings from Cardz TV "Country at Heart" stamp set goes perfect with them. 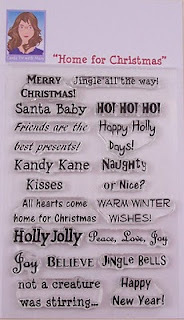 I also used the Cardz TV "Merry Everything" for the sentiment on the back. 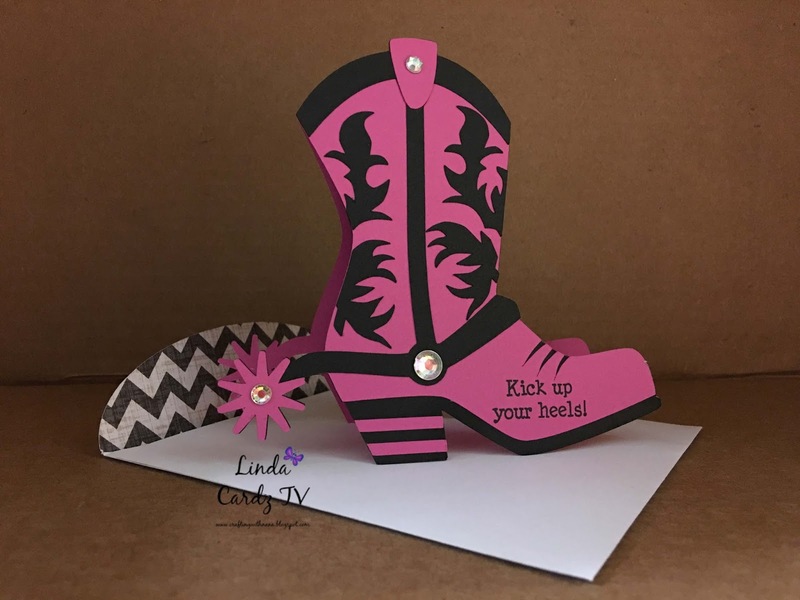 Be sure to stop by Cardz TV and see all the wonderful design team projects and to enter your project for a chance to win one of Mary's Cardz TV stamp sets. You have until noon EST, Thursday, March 16th to enter. The winner will be chosen by random.org. Many of you have asked, and no, you don't have to use Cardz TV Stamps to enter! We do ask that your entries be new projects...no backlinks please, and you may enter up to 3 times. I look forward to seeing all of your creations! TO VISIT THE NEW CARDZ TV GALLERY CLICK HERE!